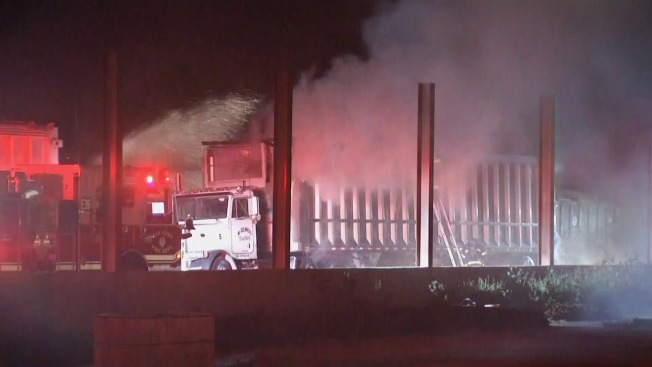 A garbage truck caught on fire early Thursday at the Valley Recycling Yard in San Jose. Firefighters around 4 a.m. responded to reports of a fire on the 1600 block of S. 7th Street. Crews arrived on scene to find the truck was carrying recycling materials that were engulfed in flames. The fire was knocked down by 4:15 a.m., but crews were then forced to comb through the debris to make sure nothing else sparked. Twelve firefighters, two fire engines, one fire truck and a battalion chief were at the scene.